Ms. Frisbee is a Counsel at Pastore & Dailey LLC. Ms. Frisbee focuses her practice on federal and state litigation, securities enforcement, and general corporate and compliance matters. She has represented public and private companies, broker-dealers, investment companies, investment advisers, corporate officers and directors, and individuals before the U.S Securities and Exchange Commission, the Financial Industry Regulatory Authority, and other government agencies and regulators. She advises clients regarding corporate governance and various regulatory and compliance issues. In addition, she has conducted complex internal investigations on behalf of board committees, legal departments and outside examiners relating to a wide array of subject areas. 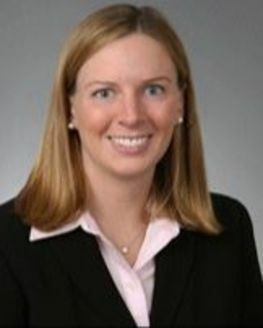 She has worked on matters involving the Dodd-Frank Act, the Securities Exchange Act of 1934, the Securities Act of 1933, the Investment Adviser Act of 1940, the Investment Company Act of 1940, state securities laws regarding broker-dealers and investment advisers, and FINRA, NYSE other SRO rules. Ms. Frisbee started her career in the Enforcement Division at the New York Stock Exchange. While there, she conducted preliminary investigations in a wide range of regulatory matters, including suitability, excessive trading, insider trading, market manipulation, and compliance with other NYSE rules. Ms. Frisbee received her B.S. from Davidson College in 2001. She earned her J.D. degree from Washington & Lee University School of Law in 2007. She is admitted to practice in Connecticut, the District of Columbia, and Virginia. Contributing Author, State Class Actions: Practice and Procedure (2d ed. Aspen Publishing 2009).